You are here: Home / All Freebies / Are You Working on Counting Numbers? Are You Working on Counting Numbers? 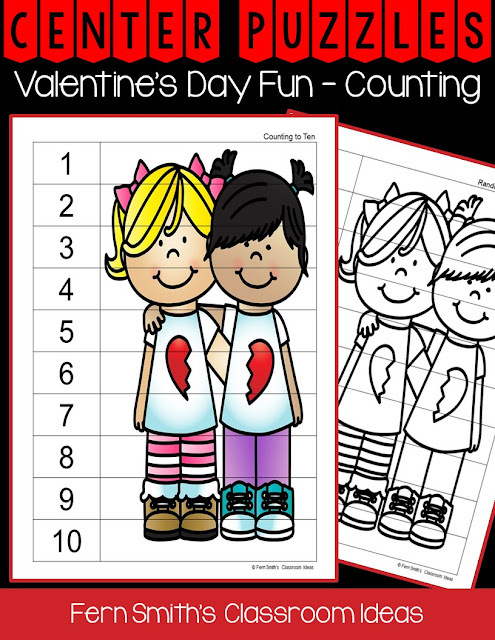 FREE Valentine’s Day Fun Counting Center Puzzles! This was just what I needed to differentiate in my classroom. This freebie comes with six different colored puzzles, just print, laminate if desired, cut and go. I have also included the same six puzzles in black and white blackline masters so the students can color, cut and take home for hands on practice. Or they can color, cut and glue them down on paper!